If you want to broaden young people’s horizons and challenge them to grow, then a Tag Rugby Trust Youth Leadership Programme is the perfect solution. London Youth supports and challenges young people to become the best they can be – through hundreds of diverse community youth organisations – and I first met with the Tag Rugby Trust in 2010, to explore how we could develop a programme of activities as part of our Getting Ready Sports Programme. 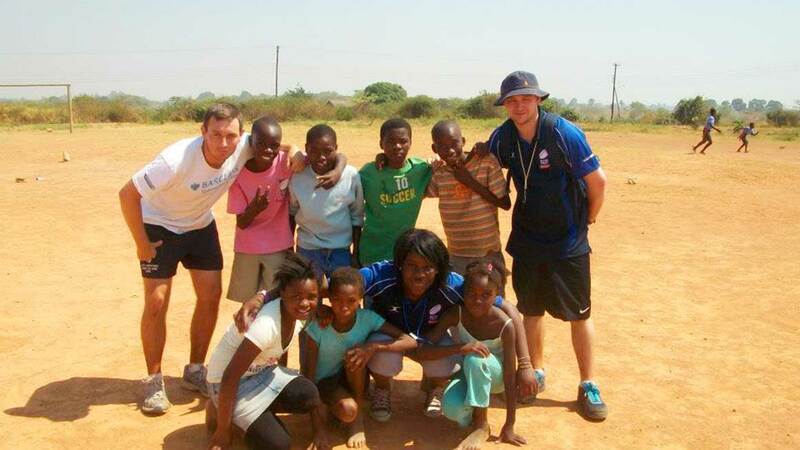 What started as a series of tag rugby festivals and activator courses, quickly developed into a commitment to support two of our youth organisations to visit and volunteer in Zambia during October 2012. Throughout an intensive 18 month development programme – of delivery, fundraising, planning and youth leadership – I saw first-hand the impact on young people when good youth work is combined with strong community sports leadership. Tag Rugby quickly became the tool that we used to build futures – both for the young people and the local communities they represented in Camden and Hackney. Two pre-tour residentials – where the young people and youth workers grew their relationships, from project colleagues into friendships. This bond kept everyone strong, regardless of any situation that presented itself. Sitting in a London hospital, a week before flying to Zambia, with a young man who’d dedicated so much time and energy, but was on the verge of missing the tour itself due to an injury sustained whilst volunteering. The relief and emotional release when he was given the all-clear (by us and the medical team), was up there with one of the most satisfying moments I’ve had in my working life. Strolling through the compounds around Lusaka, delivering the tag rugby sessions in the schools, and the walks in between the villages each day. The smiles, the laughter and determination of the Zambian young people, who take every opportunity – despite the real life challenges faced – was infectious. For our group, it shaped all of our perspectives, and provided a steely resolve that we can all work harder, do more and make a success of our own lives. Unlike the young people in Zambia (or the vast majority that we met), our starting point in life didn’t have to dictate where we ended up. The final night, whilst sitting around the BBQ, the 13 young people in our group reflecting – not just on the previous two weeks, but the past 18 months. They shared their individual journeys, what they’d learnt, and most importantly how positive they all felt about their futures. Quite literally, there’d been a transformation – from a group of young people to 13 confident, well-rounded young adults. Our relationship with the Tag Rugby Trust remains strong, and two tour parties have since gone back to Zambia and also, more recently, to Uganda. I would have no hesitation in recommending any organisation to work with Trevor Martingell, Tony Oulton and the Tag Rugby Trust team. They’re no longer just colleagues, they’ve become friends. If you want to broaden young people’s horizons, challenge them to grow, and make a contribution to their general well-being, then a Tag Rugby Trust youth leadership programme/tour is the perfect solution. If you want to get in-touch, please do feel free to contact me: john.jones@londonyouth.org OR via twitter @JustJohnJones. We believe that young people are able to thrive when supported by positive adults, in places they trust and, when provided with a broad range of opportunities, to develop their confidence, become more resilient and forge new and meaningful relationships.